The Destiny and Fate (also known as the reading for Future) playing cards spread is used to foretell the future and the likely outcome of a situation. Much like the similarly named tarot reading, it accomplishes this by first looking at your recent past and then your present status. With this information about your current direction, the cards will give you guidance about how will the situation develop and it's likely outcome. This free online reading will help you make a decision, so you can step forward with confidence. It's capable of predicting what the consequences of your actions will be and look into the future, using the help of your intuition when you read the cards' meanings. Now, clear your mind, concentrate on the emotions you connect to a specific situation and formulate your question. 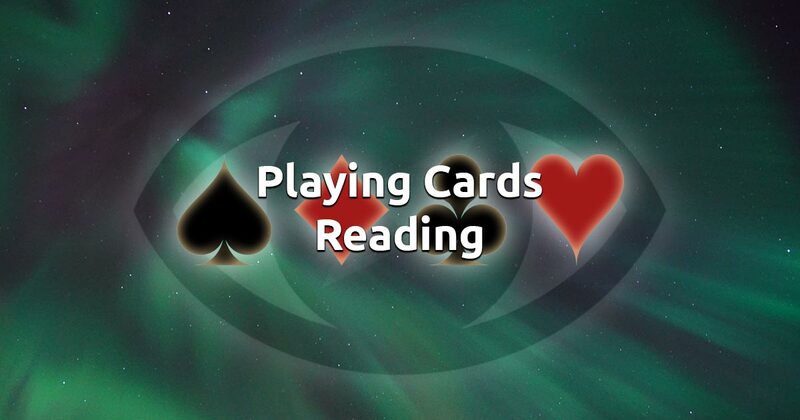 Once you're focused and feel ready, select five cards to begin your free card reading session.